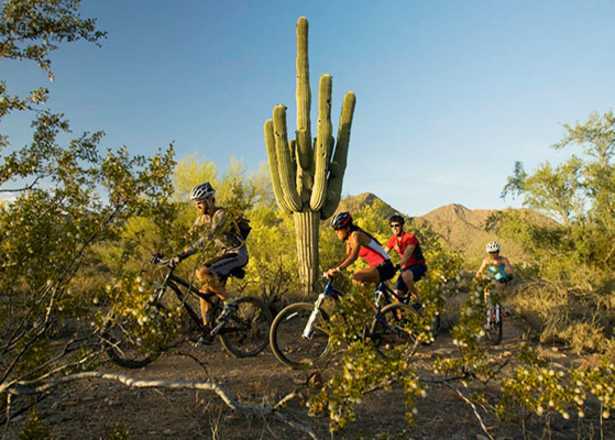 The Phoenix metro area has hundreds of miles of dedicated singletrack trail. Many of the city’s parks and mountain preserves offer easy to access to quick and challenging hikes, but they also offer the chance to slow down and take in the view with some serious mileage. If you’re a seasoned thru-hiker keeping the cobwebs at bay in the off-season or a weekend warrior looking to increase your mileage, these are some of the best long hikes around Phoenix for soaking in the surrounding desert while stretching your legs. Note: Most of these are one-way hikes. Most require planning in advance to be shuttled from the finish back to your car. Many people hike sections of National Trail, creating loops or out and backs from the east end of the park. To up the challenge and get away from the crowds, plan to tackle the whole length of the trail. The western terminus of National trail is at the San Juan lookout, only accessible by vehicle the first weekend of the month. Plan accordingly if shuttling yourself or arranging a pick up at the San Juan lookout. Why hike it? National crosses through a wide variety of Sonoran Desert landscape. It offers challenging rocky terrain, views of ancient Hohokam petroglyphs, sightings of rare-in-Phoenix pink desert iguanas, and mountaintop views of the city below. About 30 minutes north of Phoenix is the southern terminus of the scenic Black Canyon Trail. The entirety of this trail stretches approximately 80 miles from its start at the Carefree Highway north to the town of Mayer. The stretch from Table Mesa Road to the Rock Springs trailhead outside Black Canyon City is a great long one-day hike that offers a taste of all of BCT’s highlights. While well-maintained, the BCT is truly a wilderness trail. The singletrack snakes over rugged rocky peaks and down into desert washes, crossing the Agua Fria River (dip your toes in and feel refreshed!) and curving along mountainsides and ridgelines. Why hike it? The desert here appears magnified, the cactus taller and the vegetation more lush, dense, and untouched. Hiking the Black Canyon Trail is a great way to experience the wild Sonoran Desert without ever straying too far from civilization. This trail connects two popular recreation areas by beginning at the Cave Creek Trailhead near Seven Springs Recreation Area and connecting across mesas and through canyons to Spur Cross Ranch Conservation Area. About four miles into the hike you’ll pass the first ruins of an old stone cabin, evidence of settlers who explored this area. Look for more sites like this over the next couple of miles. Access to water makes this a great hike as the weather gets warmer and spring days get longer, but you should not think it’s enough to ward off the hot summer days. Why hike it? Water to cool off in and not one, but two, sightings of crested saguaros are easy reasons to hike this trail. This trail is long for a solid day hike, but the elevation change is more mild than other options in the area. 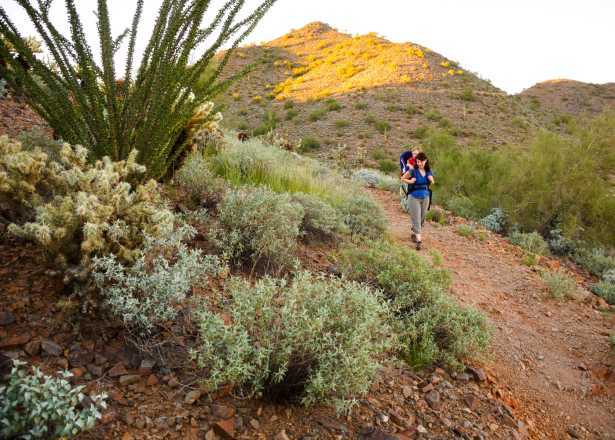 White Tank Mountain Regional Park, on the western edge of the Phoenix metro area, has much to offer to every kind of hiker including this long day hike with a lot of elevation change. The bonus of this option is that it is a loop hike, making it easy to plan without a shuttle. Start out by hiking up Goat Camp Trail through the steep and narrow Goat Canyon. The trail here is loose and will challenge your footing. As you reach the saddle, marvel at the smooth draw carved into the rock by strong floods. Continue on Goat Camp as you skirt Slick Rock Canyon until you connect with Mesquite Canyon Trail just before mile 6.5. 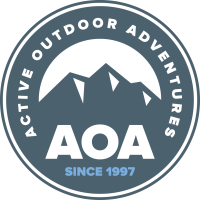 Use care over the steep ground as you descend Mesquite to the trailhead. Why Hike it? This trail offers access to a remote part of the county park that most visitors never see. The elevation change creates challenge, but the views are rewarding as you hike along washes and canyons that provide an intimate look at how water carves the desert landscape. An exceptionally challenging hike on metro Phoenix’s eastern fringe, the Superstition Ridgeline trail is not recommended for inexperienced hikers. Beginning at Lost Dutchman State Park, this route ascends the famous Siphon Draw trail to the “Flatiron.” This section of trail is a constant uphill climb requiring surefooted scrambling and carefully following a route marked with paint in the rocks. Upon reaching the Flatiron, follow the trail southeast along the ridge to reach Superstition Peak, one of the best views in the area. The trail begins to descend, crossing rocky gardens and becoming steeper as it brings you into the canyon below and on to Carney Springs Trailhead. Why hike it? Considered one of the most challenging through hikes in the Phoenix area, the Supersition Ridgeline offers unparalleled views to the west and south. On a clear day, you can pick out the Sky Island peaks of the Santa Catalina Mountains to the south. With any long hike in the desert. Plan to bring plenty of water, a wide-brimmed hat, sunscreen, and lots to eat along the way. It’s always best to over-prepare for a long day hike. Hike with a friend, tell others where you are going, and constantly assess your energy level as you move along. There’s nothing wrong with turning around before that halfway point. Maximize the enjoyment of your adventures and keep yourself safe from the desert&apos;s unique hazards with these safety tips. Whether you&apos;re new to the sport or an old pro, we&apos;ve got trail recommendations for you.